All Supercars teams will roll out with an upgraded brake package at the upcoming Red Rooster Sydney SuperSprint. Changes to the control rotor have been made by supplier AP Racing ahead of October’s Supercheap Auto Bathurst 1000 following a failure endured by Mark Winterbottom at the event last year. 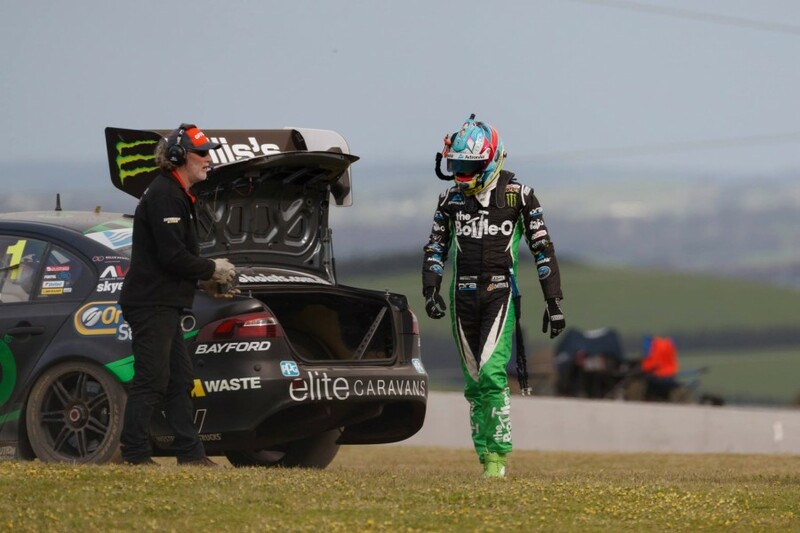 Winterbottom was pitched into the sand at the Chase after his left-front brake rotor exploded. The failure followed widespread reports of cracks to other rotors during the weekend. AP Racing engineers subsequently engaged in a thorough analysis that included sending Supercars front-suspension parts to its headquarters in the UK to simulate the stresses imposed on the rotors as closely as possible. Although unable to replicate the failure, several solutions were subsequently tested on the dyno and on various Supercars at events throughout this season before a final new specification was determined. Track testing of the final specification included running the full Coates Hire Ipswich SuperSprint weekend with wildcard teams Matt Stone Racing and Matt White Motorsport, leading to the full-field outing in Sydney. AP Racing’s local distributor Nicholas Bates says that Bathurst provides a unique challenge for the company, which is also a control supplier to the likes of the DTM, British Touring Car Championship and Japan’s SuperGT. “What we created with the current Supercars rotor was a very efficient cooling rotor, which is what the cars need due to how fast and heavy they are,” Bates told Supercars.com. “We focussed on that cooling efficiency, but when you go to Bathurst there’s a very high delta going into the Chase, so that level of efficiency isn’t what you really want. “You need to retain some of that temperature in order to lessen the delta braking into the Chase, where you’re washing off 200km/h at once and adding 400 degrees to the rotor. “The mass of this disc is the same (10.95kg), but we’ve just moved some of that around (from the 72 vanes to the brake plate itself) to achieve that goal. In addition to the slight mass redistribution, the scallop design and chemical composition of the cast iron rotor material have also been given minor tweaks. No performance difference or driver feel is said to arise from the various changes. AP Racing has also recommended to teams that they eliminate face cooling slots from their mounting bell designs due to evidence they cause localised cold areas and contribute to thermal shock. Bates says that the front-end design freedoms permitted in the category, from suspension uprights to brake mounting bells and cooling ducts, increases the challenge for AP Racing. “We’re trying to make a one-size-fits-all solution when it comes to the brake package. Those freedoms are good for the category but a challenge for us,” he said. AP Racing supplies Supercars’ control brake rotor and caliper, while teams can choose between three different brands of front and rear pads. The capiler received a minor update earlier this year after a freak port seal failure triggered a heavy crash for Nick Percat at Albert Park.